According to the American Society of Hypertension (ASH), as many as 1 out 3 adults in the U.S. have high blood pressure (known medically as hypertension). If left unchecked, high blood pressure can lead to a wide range of health problems, including kidney disease, heart attack and stroke. The excessive pressure pushes against the arteries and organs, stressing them while subsequently leaving them vulnerable to disease. It is important to note that high blood pressure is defined as a systolic reading of 140 or higher, and/or a diastolic reading of 90 or higher. Keep in mind that blood pressure will increase and decrease throughout the day. Small fluctuations are completely normal and should cause no reason for concern. But if your blood pressure remains higher than 140/90 respectively, you should take action to lower it. 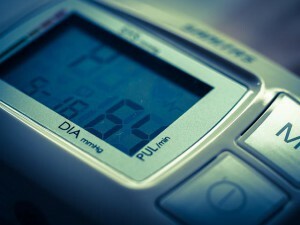 So, can massage therapy really help to lower your blood pressure? According to some health experts, the answer is yes. This belief was recently reinforced in a study published in the Journal of Human Hypertension, in which researchers found a number of alternative treatments to prove useful in lowering blood pressure (source). Massage therapy’s beneficial effects on blood pressure shouldn’t come as a surprise. Because massage leaves you feeling rested and relaxed, this treatment can also lower your heart rate, calm the body and ultimately lower your blood pressure. Massage therapy works to knead out muscle tension while promoting healthy blood flow throughout the body. As a result of this process, clients generally experience lower stress levels. And when you have lower stress levels, your blood pressure usually declines. It’s just that simple. Cut back on salty foods. Excessive sodium intake may lead to elevated blood pressure levels. Exercise for a minimum of 30 minutes per day. Drink plenty of water – at least eight, 8-ounce glasses per day. Consume plenty of antioxidant-rich foods like strawberries, blueberries and other fruits. Perform deep-breathing exercises to lower your stress and blood pressure. Strive for a solid 7-8 hours of restful sleep per night. This article was posted in Massage, wellness and tagged blood pressure, stress. Bookmark the permalink. Follow comments with the RSS feed for this post. Both comments and trackbacks are closed. « Can Massage Therapy Relieve Chronic Pain?